for $924,900 with 3 bedrooms and 2 full baths, 2 half baths. 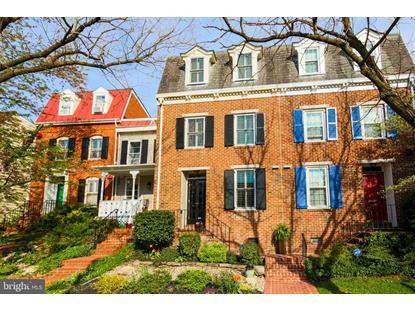 This 1,800 square foot townhouse was built in 1983 on a lot size of 0.03 Acre(s). 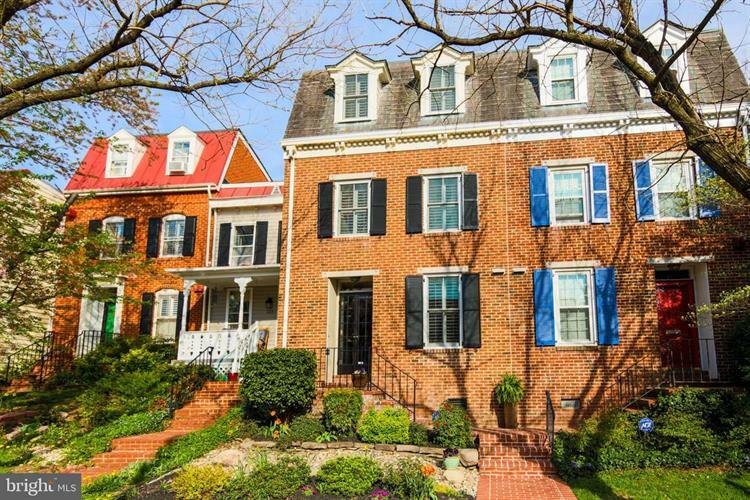 Just three blocks to King Street's dining and shopping district sits this stately three-story brick townhome, perfectly framed by its exquisitely landscaped front garden. The 3 bed, 2 full and 2 half bath row house is a beautiful example of the convenience and culture of living in Old Town, coupled with the space and amenities desired for today's lifestyle. Walking into the home's open and bright main level you're struck by the incredible front-to-back views made possible by the open floor plan and wall-to-wall glass sliding panel door, which offers a view of--and easy access to--the serene garden. This level of the home features an updated kitchen complete with stainless steel appliances, gas range, subway tile backsplash, granite breakfast bar, and new tile floor. Just beyond the kitchen you will find the formal dining room, a comfortable space that can accommodate a large group. Stepping down from the home's dining room, you enter the main living space, a gracious and bright living room with a wall of custom built ins. Relax in front of the gas fireplace and appreciate the views of the garden framed by a Japanese maple tree. Also located on the first floor is a discreet powder room, updated with a granite-topped vanity and grass cloth wallpaper accent wall.The home's delightful brick-paved outdoor space is perfect for dining, relaxing, and entertaining. A shed provides room for additional storage, and an off-street reserved parking space is conveniently located just outside the garden gate. The second floor is home to a large master suite, complete with vaulted ceilings, a wall of closets, and a large en-suite bathroom with a jetted tub and dressing nook. A spacious second bedroom is also located on this floor, and is next to the home's second full bath. This bath is appointed with a large tile shower, built-in corner cabinet, and pedestal sink. The washer and dryer are conveniently located near the bedrooms. Ascending the staircase to the third floor, you'll find sunshine streaming in through the dormer windows illuminating the high ceilings of the home's third bedroom, a flexible space currently used as a home gym and office. Here too you'll find the door to the home's walk-in attic, providing convenient and ample storage, as well as the home's second half bathroom. The home's Old Town location is just three blocks to King Street's shopping and dining district, as well as convenient to Whole Foods, Harris Teeter, Trader Joes, Starbucks & farmers' markets. The location is a commuter's dream: walking distance to King Street Metro, and easy access to I-95/495, Route 1, and the GW Parkway.